Happy news from Lance Armstrong this morning via Twitter: "Olivia Marie Armstrong has arrived!" 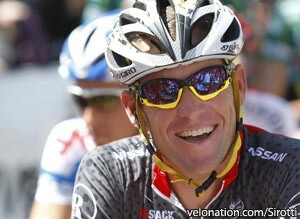 The newest Armstrong is the seven-time Tour de France winner's fifth child and second with his girlfriend, Anna Hansen. Olivia Marie Armstrong joins Lance's four other children: Luke (born in October 1999), twins Isabelle and Grace (November 2001), and Max (June 2009).